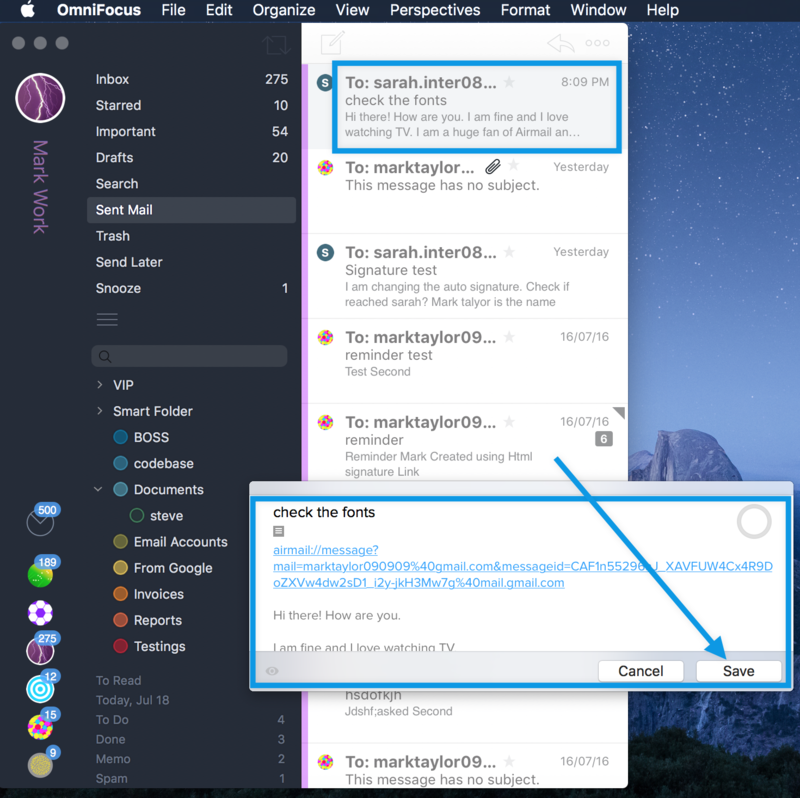 Airmail allows you to use OmniFocus to remind you to reply or act upon a message. 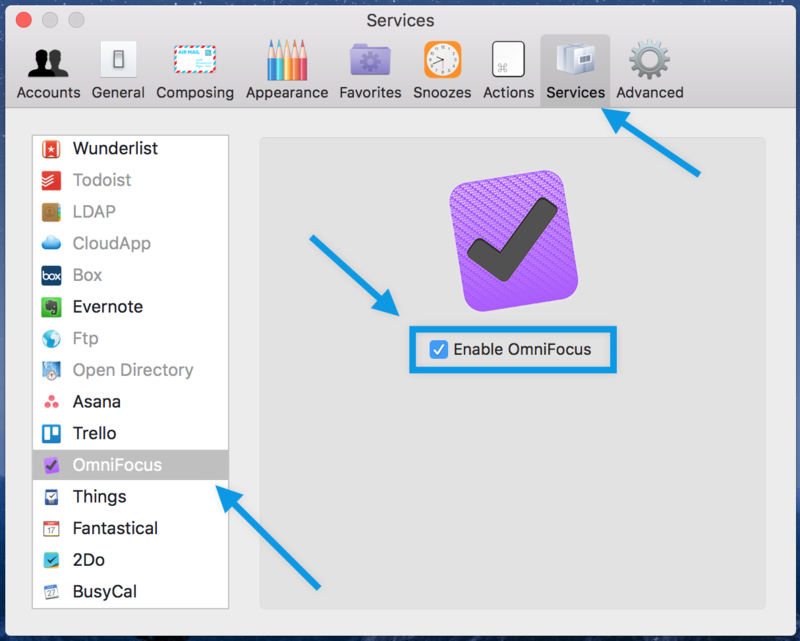 Airmail Preferences > Services and enable Omnifocus as shown in the picture below. 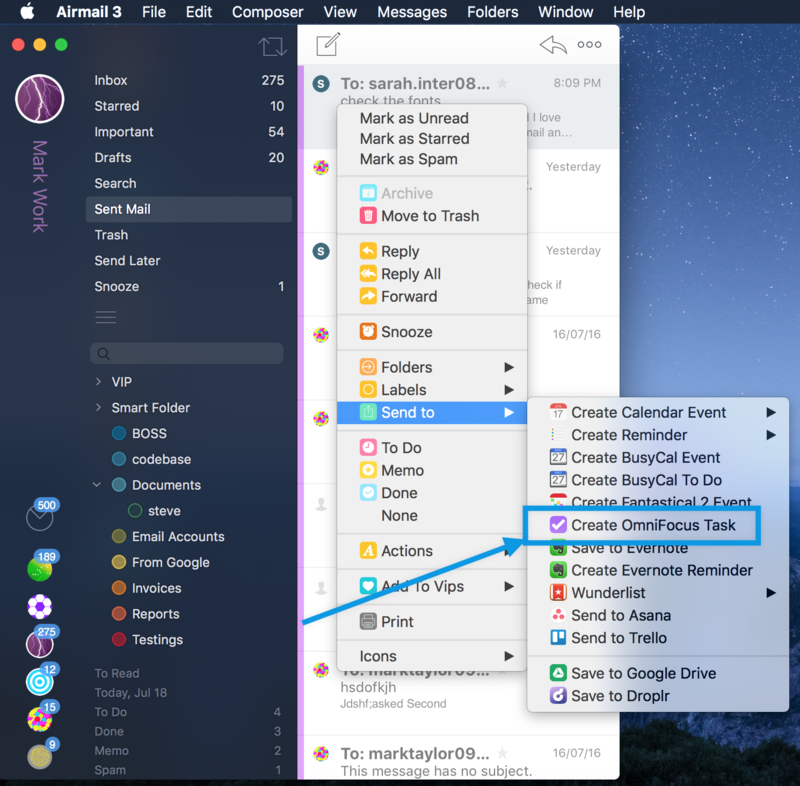 A OmniFocus window should appear, if desired enter a project, context or change the title and click .